Bangalore ITE.biz - Karnataka’s flagship ICT event that has, over the years, evolved into a premier ICT as well as electronics forum, is set to take off this December. This year marks the 18th edition of the forum. Organized by the Department of IT, BT and S&T, Government of Karnataka, along with Software Technology Parks of India (STPI), Bangalore, Bangalore ITE.biz will take place from December 8-10, 2015 at the Lalit Ashok, Bangalore. 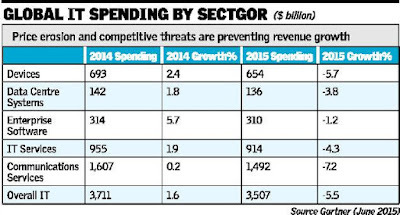 India to move up the value chain ICTE Sector will have to deliver cutting edge products and services. Focus on Disruptive innovation will help India take a quantum leap in furthering its vision of global leadership. 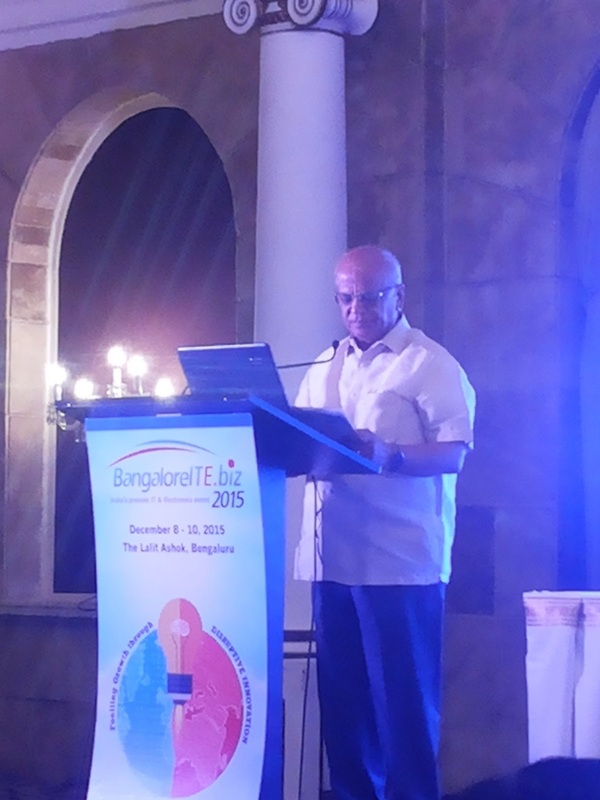 Bangalore - the Innovation Capital of India would continue to lead the way in this endeavor. Hence, this year the focal theme is aptly chosen as ‘Fuelling Growth through Disruptive Innovation’. With the new policy initiatives on the anvil by the state to boost the IT and communication sector, along with added focus on electronics design and manufacturing, as the next growth driver, the event has attracted strong participation by ICT and electronics majors. Bangalore ITE.biz 2015 would be a unique blend of over 1000 participants which will include Policy makers, C-Level Executives, Young Innovators, Technocrats, Investors, MSMEs, Start Ups, Scientists, Social Entrepreneurs, Students and Media from India and Overseas. This is a clear indication of Bangalore ITE.biz shaping up as the leading knowledge and thought leadership forum in India. The three day event would comprise of International Conference, International Tradeshow, Keynote Talks, CEO Conclave, Secretary Conclave, YESSS for Start-ups, IT Export Awards, Skill Conclave and many more. Bangalore ITE.biz is a unique forum where all the key IT and Electronics Industry associations like NASSCOM, MAIT, IESA, ELCIA, CLIK, ABAI, Isprit partner with the event and play a pivotal role in structuring the theme, content as well as steering conference sessions and exhibition. This year’s International Conference is expected to bring together top technology experts, policy makers, research heads, consultants and industry captains. Eminent personalities will focus on thought leadership while expert speakers will give insights into the latest industry trends and innovations. Day 2 and 3 would feature Sessions on smart cities, big data and analytics, incubation, and skill development, making India an electronics manufacturing hub, YESSS for start-ups, emerging trends in animation gaming visual effects, Ease of Doing Business as well as an #app hackathon. The CEO Conclave with theme ‘Fuelling Growth Through Disruptive Innovation’ would be addressed by leaders of the country, industry captains, and policy makers. It will be a power-packed evening with Leading industry captains engaging in thought-provoking discussions and throwing light on the challenges ahead, uncover potential opportunities and discuss the means to achieve exponential growth. STPI IT Export Awards are given to the Leading companies in the industry based on their export performance in the last financial year.The award categories are designed in such a way so that we can also recognize MSME Units from Tier II & Tier III Cities along with large companies. YESSS Programme (Young Entrepreneurs Start-Ups in Soaring Spirits) is a forum for start-ups with business ideas who are looking for partnerships, collaboration, investments. This feature is a must-attend for investors and business companies looking for innovative products and technologies. Accenture is accelerating its research and development agenda in artificial intelligence across its global network of Accenture Technology Labs, by opening the newest lab in Dublin and committing a significant portion of its global RnD capabilities, to help clients across industries integrate intelligent systems to improve operations and create new growth opportunities. The expanded RnD agenda will play a significant part in fueling Accenture’s approach to artificial intelligence across the company and will draw the best technology solutions from a broad ecosystem. The new Technology Lab is central to Accenture’s commitment to Dublin as a Centre for Innovation, established to capitalize on Ireland’s role as a technology hub in Europe and to access highly skilled talent in science, technology and engineering in the region. Artificial Intelligence – the broad field of new technologies that enable software to sense, comprehend, act and learn – is disrupting how businesses operate and compete while also accelerating the delivery of business outcomes in the “As-a-Service” economy. 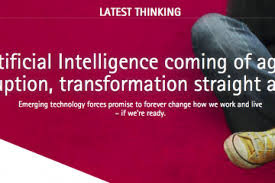 Analyst firm IDC predicts that the worldwide content analytics, discovery and cognitive systems software market will grow from US$4.5 billion in 2014 to $9.2 billion in 2019, with others citing these systems as catalyst to have a $5 trillion – $7 trillion potential economic impact by 2025. 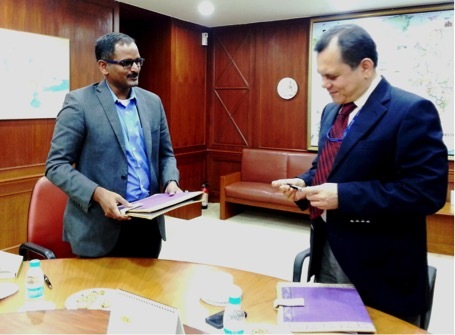 GoCoop, a leader in social marketplace for easy and transparent sourcing of craft products has signed a Memorandum of Cooperation (MOC) with Export-Import Bank of India (EXIM Bank). Under the MOC, both Exim Bank and GoCoop will work on export market development and share their knowledge and connect each other to promising social enterprises for further support, including financial and advisory. 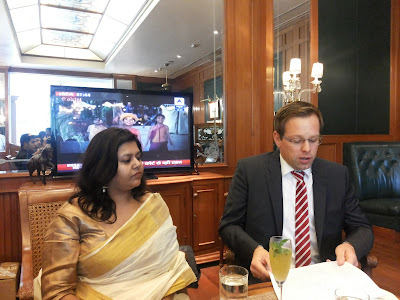 Mallick emphasized that this partnership with GoCoop was a part of EXIM Bank's outreach strategy to target a wider spectrum of grassroots organizations and would supplement the Bank's efforts towards boosting exports of handloom and handicraft products from India. EXIM Bank has supported various grassroots enterprises across different parts of the country. The Diabetic Food Trail - Conceptualised and presented by Semora Entertainment Works; the unique initiative has been supported by Britannia NutriChoice, one of India’s top health brands today, along with Biocon,India's largest and fully-integrated, innovation-led biopharmaceutical company and Zomato, a leading local restaurant guide and would promote it among its users. The Diabetic Food Trail is all set to offer Diabetics, Pre-Diabetics and Health conscious individuals, a wonderful culinary experience at over 100 restaurants across Mumbai, Delhi, Chennai and Bangalore. Beginning on the occasion of World Diabetes Day – November 14, this unique initiative will add a whole new flavour to the term ‘eating out’. Acclaimed and celebrated chefs at some of the most popular dining establishments will showcase their culinary skills to present special ‘Diabetic friendly’ menus that would be complete, with nutritious and delicious choices, thus allowing patrons to indulge without worry. Eating right is vital if you’re trying to prevent or control diabetes. While exercise is important, what you eat has the biggest impact when it comes to managing diabetes. It may come as a surprise that the nutritional needs are virtually the same as any other person, no special foods or complicated diets are necessary. In conjunction with medication and exercise, DIET plays a critical role in ensuring a diabetic individual’s level of good health. The food trail features 100+ Top Restaurants, who’s Chefs have designed a special diabetic- friendly menu, just for people with diabetes. A menu that is not only diabetic-friendly, but also healthy and delicious enough, that the whole family will appreciate and can partake of. A menu comprising well-balanced, tasty and nutritious meals prepared by the Top Chefs of the city. To provide this burgeoning segment of the urban Indian population a taste of varied, delicious and healthy culinary choices that adhere to the calorific and dietary requirements of diabetics – at some of the best and most popular restaurants across the country. As Seema Pinto – Director, Semora Entertainment Works and the brain behind this initiative says. “One of the primary objectives of channeling this initiative through restaurants was to dispel the notion of ‘healthy food cannot be tasty food’, and influencing the Food Industry to recognise the need of ‘diabetic friendly’ menus, given that we will be a country of 80 million diabetics by 2030 (World Health Organisation estimates).” The chefs from our restaurant partners have conjured up novel gourmet dishes whilst some recipes and menus were re-engineered from their existing dishes to suit the recommended diet and within the calorific values. Every effort has been made by the Chefs to ensure the food is tasty and suitable to the Indian Palate. The Menus include sugarfree desserts, appetizers, Entrees and much more. All dishes under the Diabetic Menu during the promotion will provide complete nutritional information, including carbs and calories, to make a diabetics choice easier when selecting a particular dish. Zomato’s primary focus in partnering in this initiative is to give a healthy food choice to every person visiting their site. "At Zomato, we look to create delightful customer experiences, and partnering with Semora on the Diabetic Food Trail is another step in that direction. We're constantly looking for ways to make every meal, for everyone, a great experience. With this partnership users can now make informed and healthy dining decisions." said Pramod Rao, SVP, Growth, Zomato. A diabetes diet is simply a healthy eating plan that is high in nutrients, low in fat with little or no sugar, and moderate in calories. It is a healthy diet for anyone! The Diabetic Food Trail is her to make a big difference for not only Diabetics but also people who are health conscious or pre-diabetic. 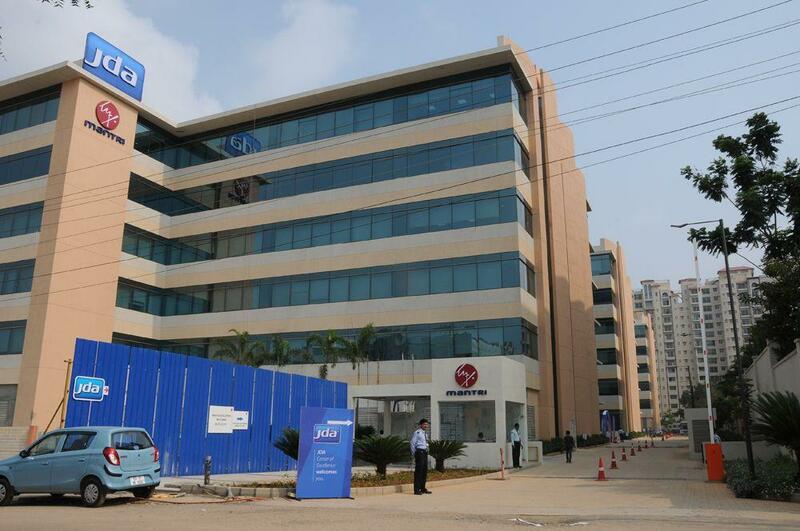 “Biocon has been making a difference to the life of millions of diabetics for over a decade. As a compassionate, caring and responsible company our efforts are aimed at sensitizing people through a holistic diabetes management and life style modification program. Our association with the Diabetic Food Trail initiative resonates our efforts toward highlighting the importance of a balanced diet in managing diabetes effectively. Our endeavour is to empower many more ‘people with diabetes’ the ability to ‘win with diabetes’ through lifestyle modification, healthy diet and regular exercise.” Dr. Subir K Basak, Senior Vice President and Global Head of Business Excellence, Biocon. “We are thrilled to showcase healthy meals for diabetic customers through this initiative. This project is very close to my heart since I’m a person with diabetes and know the challenges we face when we are out on work for meetings and need to have a meal, or when going out to dine with family and friends. 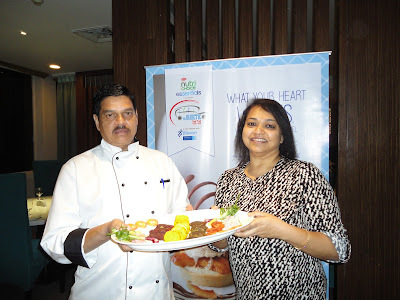 This initiative is a collaborative effort to spread the word that we CARE for our health and we ACT on it.”, says Seema Pinto, adding that “We are dedicated to provide healthy, delicious, diabetic friendly food options to the food lovers and sincerely appreciate our partners, Britannia NutriChoice and Zomato for supporting us, in this pioneering venture, along with all the participating restaurants”. So if you are diabetic, eating out or going to an event can pose special challenges. But now with 100+ restaurants to choose from, serving all kinds of cuisines, during the Diabetic Food Trail, you can have a delicious meal and feel good too. 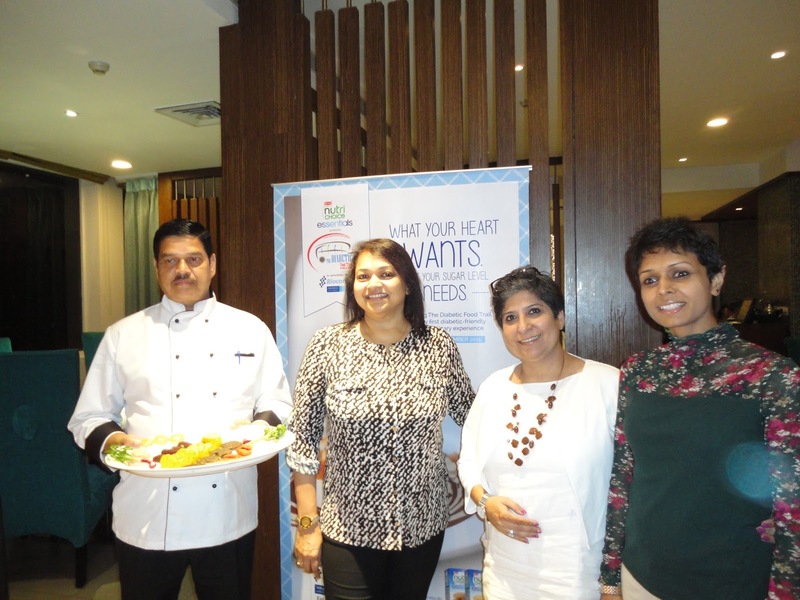 The Diabetic Food Trail is all set to offer Diabetics, Pre-Diabetics and Health conscious individuals, a wonderful culinary experience at over 100 restaurants across Mumbai, Delhi, Chennai and Bangalore. The Chief Minister and Government of Rajasthan have released the Rajasthan eGovernance and IT/ITeS Policy 2015 on November 5, 2015. The previous IT and ITeS Policy was released in the year 2007, which aimed at leveraging Information Technology for implementing eGovernance initiatives benefitting the residents. Since then, multiple highly successful eGovernance initiatives have been implemented. 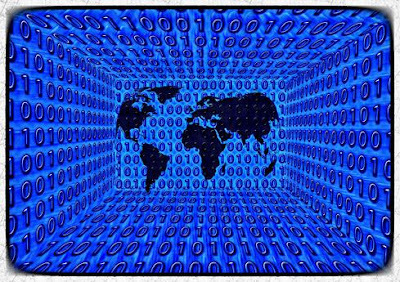 The advancements and reshaping of technological domain with changes in economic and regulatory frameworks necessitate a revision in the prevalent IT policy. Understanding the same, and to ensure maximum development and benefits till the last mile, the Chief Minister announced release of new eGovernance and IT/ITeS Policy 2015 with strong emphasis on development of public, government departments and promotion of IT/ITeS/ESDM/Robotics sector. The eGovernance and IT/ITeS Policy 2015 prepared by Department of Information Technology n Communication in compliance of the Budget Announcement was released on05 November 2015. For the first time, ESDM, Manufacturing and Robotics sector have been added to the policy. In addition, for the first time, the state has taken a step to provide complete exemption from Zoning Regulations and Land Conversion to the IT/ITeS Sector. The policy aims at promoting hassle free access for common man, to the government, service delivery till the last mile, establishing IT Infrastructure till the village level establishing access to everyone and establishing Rajasthan as the frontrunner in promotion of the IT Sector. The State Government obtained public opinion and expert support from technical experts, academician, institutions and industry for developing the policy. The details have been finalized after detailed discussion and deliberation with residents, subject matter experts, IT industry, Government Departments and media representatives. 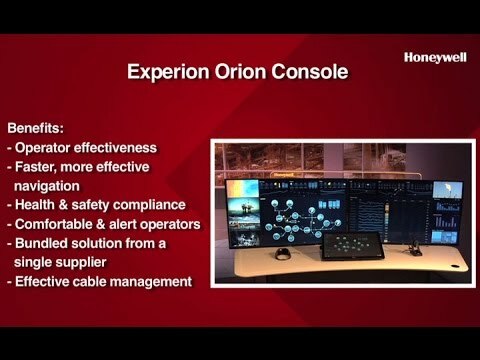 Honeywell Process Solutions (HPS) has announced that a large chemical facility in Brazil will be the first in the world to use Honeywell’s state-of-the-art Experion Orion Console, which is designed with plant operating personnel in mind by providing a single visual workplace that allows for more effective responses and less operator fatigue. The console features a large, ultra-high definition display with clear status readings of operations in a single glance for faster and more-informed management. Operators can customize displays to prioritize data that is needed for a given process or operation. The display also can be set to show operating limits and targets. Touchscreen displays help operators quickly and accurately respond to changing conditions. 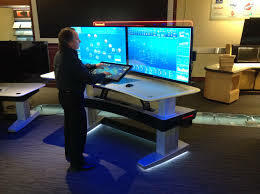 Additionally, the console features adjustable sitting and standing operating positions to reduce fatigue. 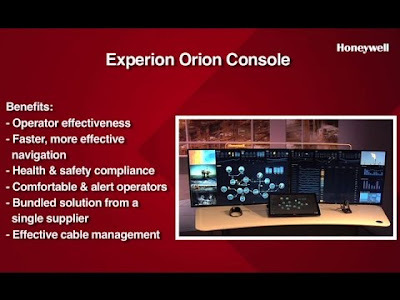 The console was developed using the Honeywell User Experience, a new approach to the design and development of new products focused on making them easier to use, more intuitive, more efficient, and more productive. Use of Honeywell’s Universal I/O (input/output) technology will speed project schedules, reduce production downtime, and help plant personnel more efficiently manage operations by reducing the stock of spare parts. The Indian data center infrastructure market will total $2 billion in 2016, a 5.2 percent increase from 2015, according to Gartner, Inc. Analysts are providing the latest trends shaping the future of the data center market, and the impact of emerging technologies on organizations’ mission critical priorities, at Gartner Symposium/ITxpo, taking place here through November 5. 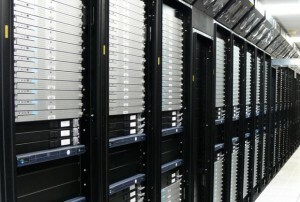 The storage market is projected to reach $307 million in 2016, a 3 percent increase from 2015. Storage modernization and consolidation, backup and recovery, and disaster recovery are some of the key drivers to this market, and they are likely to remain relevant drivers over the forecast period through 2019. The strong push towards cloud based infrastructure as a service (IaaS) from within the SMB segment will negate the increase in storage spend within the enterprise space. While it is the early days, Gartner also expects the emerging hyper converged integrated systems and storage technologies based on software-defined storage to encroach on the traditional ECB storage market. 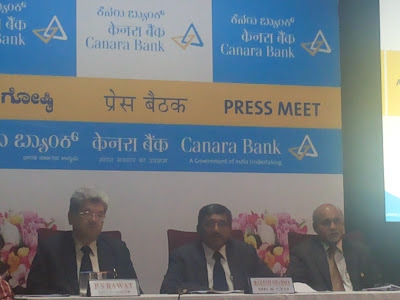 State-run Canara Bank has posted Rs.529 crore net profit for the second quarter (July-September) of this fiscal (2015-16), registering a 16 percent decline from Rs.629 crore in the like period a year ago. 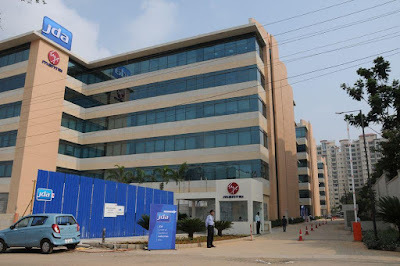 In a regulatory filing to the Bombay Stock Exchange (BSE), the city-based bank said, sequentially, however, net profit increased 10 percent from Rs.479 crore in the first quarter (April-June) of this fiscal. Net interest income, the difference between interest earned and expended, grew 11.7 per cent to ₹2,646 crore (₹2,367 crore in the year-ago quarter). Operating profit rose 19 per cent to ₹1,944.10 crore (₹1,625.54 crore). The bank made a 49 per cent increase in provisioning at ₹1,212.31 crore (₹813.70 crore). Gross net performing assets (NPAs) for the quarter rose 54 per cent to ₹14,021.34 crore (₹9,164.26 crore). Net NPAs were up 31 per cent at ₹9,382.53 crore (₹7,170.30 crore). Gross NPAs as percentage of advances stood at 4.27 per cent, while net NPAs were higher at 2.90 per cent. Fresh slippages stood at around ₹2,000 crore during the quarter. “We have been able to control fresh slippages and have strengthened the provision coverage ratio (PCR) to 59.8 per cent,” said Rakesh Sharma, MD and CEO, Canara Bank. The bank has strengthened the recovery process and aims to bring down the GNPAs to less than 4 per cent by March 2016, Sharma adds. 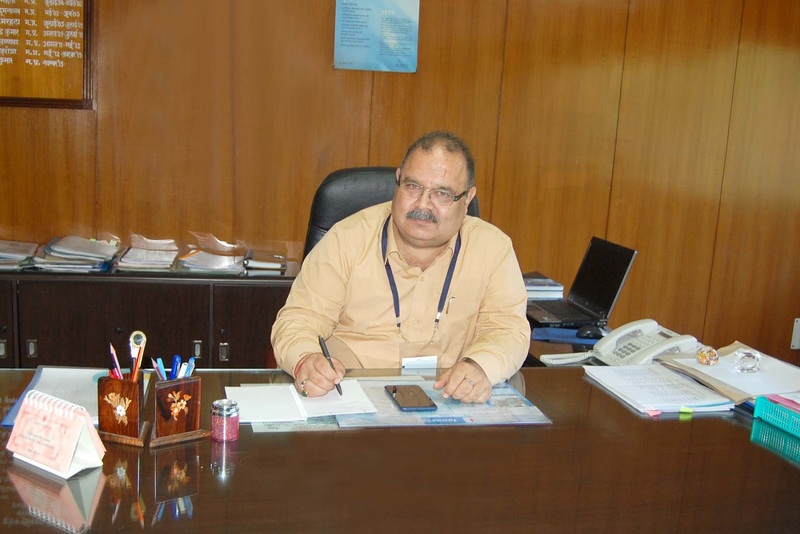 Two new General Managers (GMs) have assumed charge at Navratna Defence PSU Bharat Electronics Ltd (BEL). They are A Ravisankaran, GM (Central DnE)/BEL-Bengaluru, and Manoj Kumar, GM (BEL-Kotdwara). 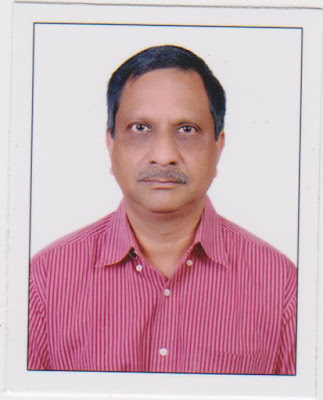 A Ravi Sankaran, GM Central (DnE)/BEL-Bengaluru, completed his BE degree in Electronics and Communication Engineering from Regional Engineering College, Tiruchirapalli, in 1981. He joined BEL’s Bengaluru Complex after completing post graduation (M.Tech) from IIT-Kanpur in 1983. 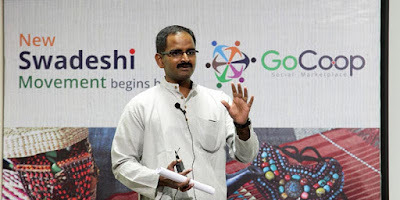 Ravi Sankaran has worked extensively in Radar development projects including RAWS-03 and Flycatcher Upgrade, for which he received the BEL R&D Award. As Head of the Development & Engineering Department at the Military Radar SBU of BEL-Bengaluru, he was engaged in the joint development of Air Defence Fire Control Radar with LRDE for the Army, till his elevation as GM. Manoj Kumar, the new GM of BEL’s Kotdwara Unit, graduated in Electronics & Communication Engineering (BE) from Karnataka Regional Engineering College, Surathkal (now NITK), and joined BEL’s Ghaziabad Unit in February 1985 as Probationary Engineer. He started his career in the Sales Communication Department of BEL-Ghaziabad and was involved in the trials and introduction of Digital Mobile Troposcatter equipment into the Services. He moved into Quality Assurance and served in the Inward Goods Inspection and Test Equipment Support departments. He later worked in the Marketing (Radar) Division, where he was involved in the induction of INDRA Mk II and Reporter Radars. In the year 2002, Manoj Kumar was transferred to Systems Department, where he played a pivotal role in the implementation of POLNET and Mobile Cellular Communication System projects. He then moved to the National Marketing Division at BEL’s Delhi Regional Office to take care of BEL’s Naval business. He was Additional General Manager (Navy/National Marketing)/BEL Regional Office-Delhi, before his elevation as GM. JDA Software Group, Inc. has announced it has partnered with Tata Consultancy Services (TCS) to launch an offering to help facilitate solution upgrades to the latest release of JDA Manufacturing Planning, version 9.0. Together, JDA and TCS will provide customers with a pre-packaged upgrade program for customers so they can leverage the new capabilities in JDA Manufacturing Planning 9.0. JDA Manufacturing Planning enables companies to create a seamless, highly adaptive supply chain that spans upstream suppliers and downstream distributors, enabling an agile and profitable response as demand and supply conditions change. With the release of JDA Manufacturing Planning 9.0, JDA customers can now take their supply chain solution to the next level of business performance, enabling seamless and profitable supply chains. Customers can derive significant business value, leveraging the very best of supply chain in-memory technology, faster speed, next generation forecasting algorithms, rapid what-if simulations with guided resolution levers, and a dramatically improved user experience. JDA customers with up-to-date maintenance and support agreements can access the latest version of their solution components from JDA without any additional charge. TCS is speaking at JDA FocusConnect 2015 this week, on Thursday, November 4 at 2 p.m. with JDA in the session entitled “JDA Manufacturing Planning Upgrades: JDA Supply Chain Planner to JDA Enterprise Supply Planning in 90 days!” JDA FocusConnect is being held at the Hotel Arts Barcelona in Barcelona, Spain, and brings together more than 500 retail and supply chain professionals to share best practices in supply chain, manufacturing and retail planning, store operations and category management. India is poised to become the fastest growing information technology market for the second straight year, and the country's spending on IT is expected to rise 7.2% to $72.3 billion in 2016, according to research firm Gartner. 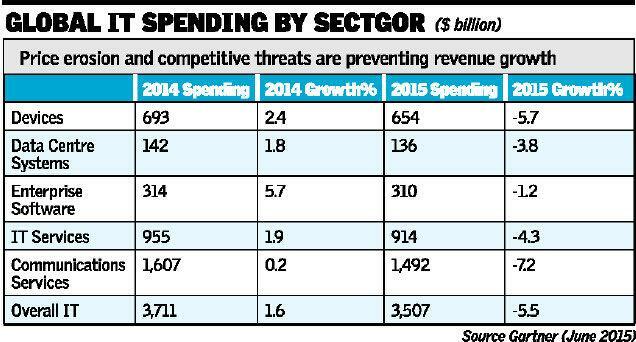 IT budgets too are growing the fastest in India at 11.7%, compared with the world average of 1%, it said. "India will continue to be the fastest growing IT market for the second year in succession and will continue growing to total $87.67 billion by the end of 2019," said Aman Munglani, research director at Gartner. 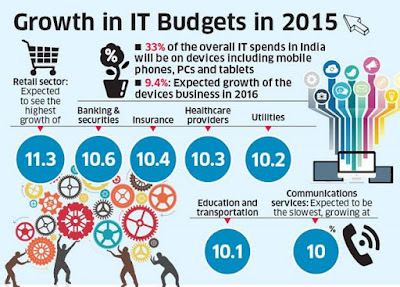 Devices including mobile phones and PCs and tablets will account for almost 33% of the overall IT spend in India, while the devices business will grow 9.4% in 2016. Mobile phones will continue to be the single largest technology sub segment in India and the third fastest-growing through 2019, Gartner said. Digital business is driving "significant growth in new and established organisations across the world", it said. 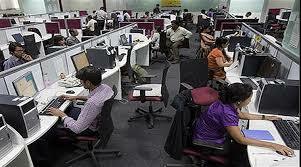 Digital is also a key part of how Indian firms are looking to expand business. In February, the Tata Group appointed former Citigroup executive Deep Thomas as head of its consumer analytics division, and is now looking to put in place chief digital officers at its consumer facing businesses, ET has previously reported. Similarly, Mahindra Group has appointed Jaspreet Bindra to helm digital innovation and ecommerce, while Larsen & Toubro has hired consultancy McKinsey to chart a digital strategy. IDFC, which was recently awarded a banking licence, had appointed former Airtel executive Sriraman Jagannathan as its chief digital and data officer last year. In IT budget, the retail sector is expected to see the highest growth of 11.3% in 2015, followed by banking and securities at 10.6%, insurance at 10.4%, healthcare providers at 10.3%, utilities at 10.2% and education and transportation at 10.1%. Communications services, the largest segment, is also expected to be the slowest growing with 10% growth during the period, said Gartner. The research firm said bimodal IT and bimodal business running in two modes simultaneously is essential to take advantage of digital business, and the approach is resonating with companies. "We run a bi-modal IT model; where one team works on run-the-business and the other on a more transform the business. 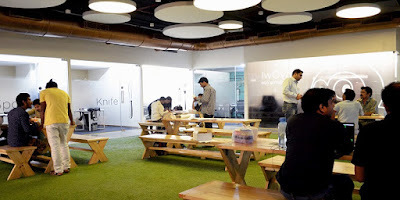 There is a lot of focus on evaluating newer technologies for their use in the business," said Kalpana Maniar, president and chief information officer at financial services firm Edelweiss. IT spending is also moving beyond the chief information officer's control, which necessitates the need to look at new leadership approaches, said Gartner. Varun Agarwal is a name synonymous to inspiration for millions of youngsters across the country. The 27-year-old is an established entrepreneur, film-maker and an author. “I do not consider myself an author. I’ve written one book and might write another soon. 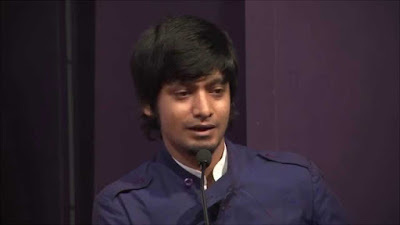 I would prefer being called an author and definitely a film maker,” said Agarwal. He was one among the speakers at the Bangalore Business Literature Fest 2015 held on October 31, 2015 in Bangalore. Agarwal said that the idea of writing the book came to him when people started liking his blog posts and could relate to very much to the character Anu Aunty. “It was a difficult task to write a 50,000 word long manuscript. Honestly, I got stuck after the first 10,000 words,” he said. “Getting your work published is a very easy task here. Trust me, if I could get my book published anyone could. All you have to do is dedicate your time and write,” he added. He said that while the term entrepreneur is very much glamorised by the media, every youngster wishes to be one because of three reasons- To make a lot of money, to be the boss and to not have a 9-5 job. He added that these are all the myths about entrepreneurship that has to be broken. He spoke about how he used to fail in his subjects in college. “Those failures however helped me very much. I lost my fear of losing,” he said. He added that everyone must do what they’re passionate about in their life and should not bother about what others say. “Honestly, people do not have time to care and they won’t,” he said. He quoted an incident during his college life, where he had to give a presentation in front of his whole class but could not utter a single word because of stage fear. He took the embarrassment as a lesson and started working on his public speaking skills, by spreading a certain gossip among a group of friends. “I was very much inspired by Steve Job’s speeches. Public speaking is the best way to inspire people. You just have to open up. And yeah, old monk helps a lot,” he said jokingly. He added that one should be passionate enough to do what they are doing. He asked the crowd to be self-aware. “Spend time with yourself. Go for a trip alone. Find yourself. Also, our heart is always saying something. Listen to it,” he added. In a continuous attempt to establish its foothold in the market, TinyOwl, the preeminent and fastest food ordering app in India, has undertaken a mass streamlining to unlock the organization’s operational efficiency by deploying scalable city level frameworks. While the app has witnessed remarkable growth in the past year, the current focus for the company is to now attain a viable business model from a long term perspective, in consideration of the current market challenges being faced by food ordering players in India. TinyOwl has undergone an organizational restructuring to increase its efficiency and productivity, involving eliminations of certain positions from the company, as part of this process. In alignment of the current organization focus, TinyOwl will be scaling back nationally, with optimization of resources across verticals being the key focus. This development has been made on a strategic level as a step towards sustainability and growth for the brand in the current challenging market scenario. While TinyOwl will continue to operate in 6 cities, the new model will be initially tested in major metros Mumbai and Bangalore. With the refurbishing of the brand, the company is aiming at developing an enhanced ecosystem of business management with a strong and robust backend looking at long term sustainability. 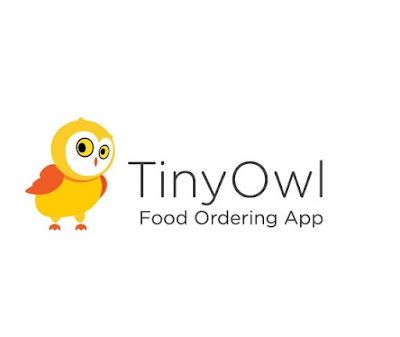 One of the youngest players in the ecosystem, TinyOwl hopes to continue add more value to partners and provide the best of food ordering experience to its customers with enriched offerings and services. From being a five member start-up to being one of the fastest growing startup brands in the market today, TinyOwl continues to be focused on strengthening the brand’s position in the market. With more and more technology starups emerging from Indian shores, it’s time to reach out to the global market and Europe being the prime. After a successful CeBIT 2015 at Hannover for the Indian participating companies, Deusche Messe AG, the organizers of the fair are targeting over 100 micro, small and medium enterprises (MSMEs) to take part in the world’s largest IT expo. To assist the MSMEs, Electronics and Computer Software Export Promotion Council (ESC), sponsored by the Government of India is providing large amounts of subsidies to small scale businesses for their participation in CeBIT. “This year 25 exhibitors availed the scheme and for the 2016 event the scheme has been expanded to 50 exhibitors,” she adds. More number of startups are expected to attend next year’s CeBIT to be held in Hannover being held from March 14 to 18, 2016, said Jan-Hendrik Tiedje, Key account manager of Deutsche Messe. Speaking on the sidelines of CeBIT India 2015, Tiedje emphasised the need for digitisation and stated that it is the need of the hour. He said next years’s CeBIT will focus on digital economy – D!Conomy. Arbind Prasad, Director General FICCI, said that FICCI would be managing the India Pavilion on behalf of the Government of India in the upcoming CeBIT. FICCI will be supported and funded by the Department of Industrial Policy Promotion and Department of Electronics and IT, he added. 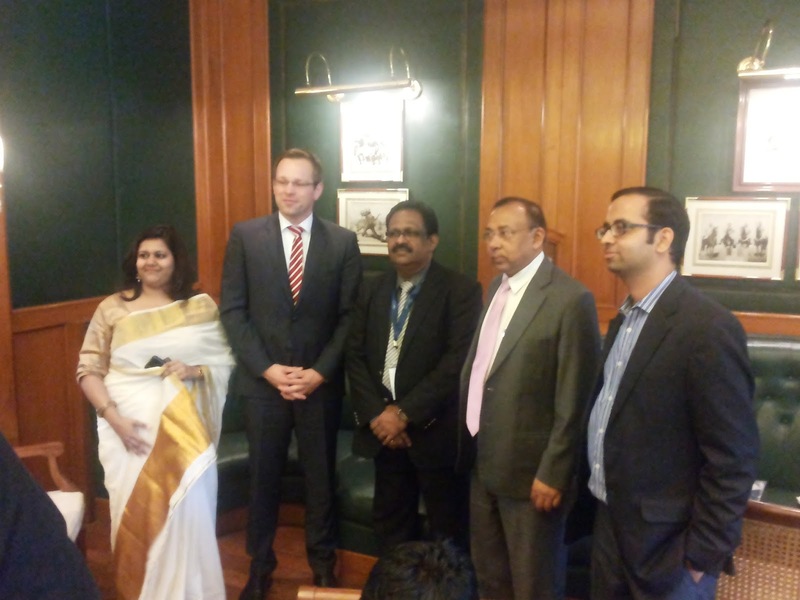 The government of Kerala will be taking a large contingent to Hannover for the 23th year. The state has been an active participant since 1993. Besides a number of other states like Orissa, Uttar Pradesh and Gujarat making their foray into the European market. This is besides the large number of corporates like Infosys and others like UBS, who take part on their own without any assistance, adds Sachdeva.